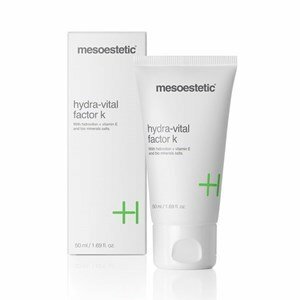 The hydra-vital Mesoestetic k-factor, is a hydronutritive facial, neck and neckline cream, which keeps the skin in fantastic firmness and elasticity conditions. 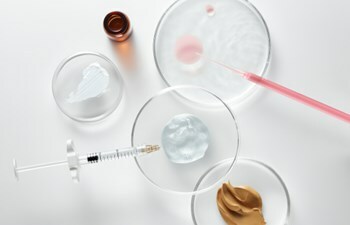 Its formula can restore the hydrolipidic film and neutralize the free radicals responsible for premature aging. After the application, feel a pleasant sensation of freshness and well-being. Its main ingredients (hidrovitón, vitamin E, amniotic fluid, glycerin and silicone oil) offer the hydration and nutrition needed to keep the skin in great health conditions, avoiding its premature oxidation. Apply on clean skin by morning and at evening or whenever necessary. Want to get to know the Beauty Oscars? At SweetCare, we decided to choose our products worthy of a Hollywood award and we've explained everything in our magazine!